Brownie Batter Dip, meet chocolate chip cookie dough dip. 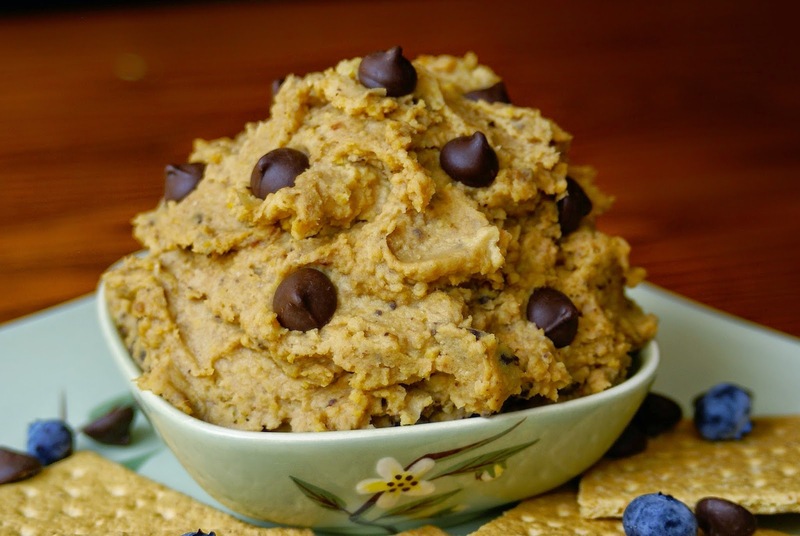 This is another bean-based healthy dip that will blow your mind! I had a roommate in college who used to buy the refrigerated logs of chocolate chip cookie dough and snack on them. As bad as that seems, I used to eat raw cookie dough all the time. In fact, I used to purposely leave one or two cookies worth of dough left in the bowl so I could eat it! 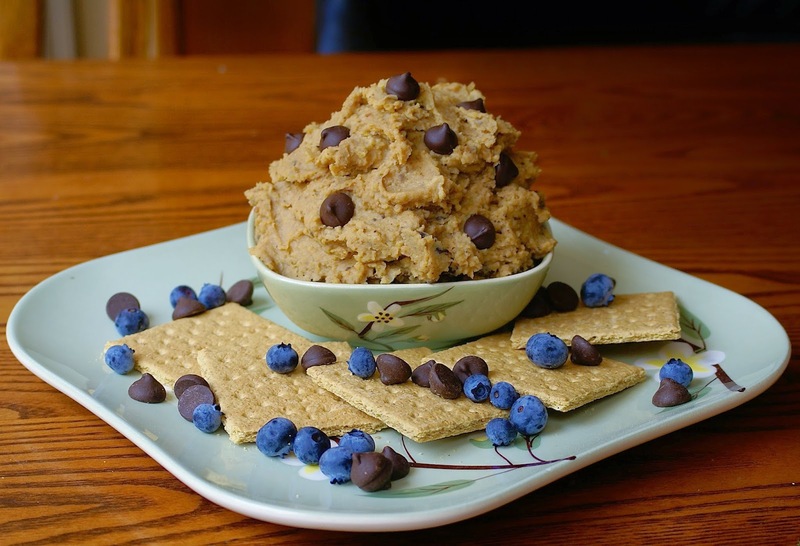 I use peanut butter when making this dip (because, peanut butter! 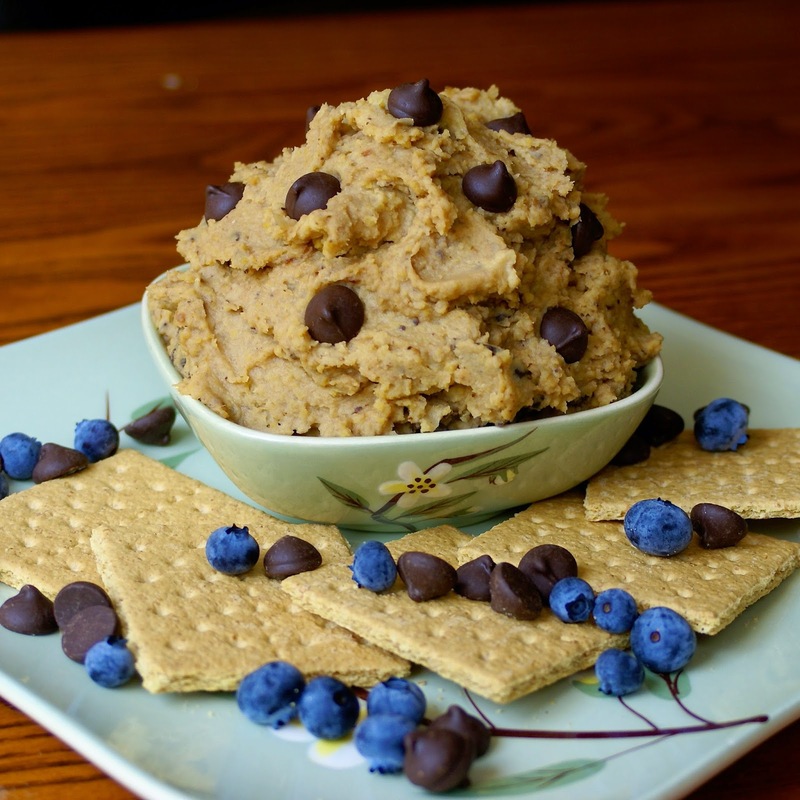 ), however if you don’t want a slight peanut butter flavor, use cashew butter or almond butter. You can also add more or less sweetener as desired. Next time you get the urge to lick the bowl when making a batch of cookies, reach in the fridge for a jar of this instead. What’s your favorite type of cookie? I’m already thinking about making more flavors of this tasty dip! 1. Add beans and honey to the base of a food processor. Blend for 15-20 seconds, stopping to scrape down the sides as needed. Add the peanut butter, vanilla, and sea salt. Blend until smooth. Pulse in the chocolate chips. Previous Article← Cauliflower Pizza Crust + A Recipe for Cherry Tomato and Bacon Pizza! If you don't add the chocolate chips (I know, I know who wouldn't? well me), does it taste like peanut butter cookie dough? I'm not convinced yet that my friends would be fooled. Fortunately this looks so easy it won't take long to find out! Thanks for sharing this creative idea! Haha, save those chips for me! And yes, it really does taste like peanut butter cookie dough! If you are making it for friends who are extremely picky, defiantly use 1/2c maple syrup. Let me know what your friends (and you) think! Do you store this in the frig (assuming I wanted to serve it tomorrow without gobbling it up for dinner)? I need some cookies or graham crackers to dip with. This is really good just on a spoon too though (just like 'real' cookie dough). My husband hates cookie dough and anything gooey. I have to make half my brownies gooey and overbake the other half for him. Kinda like black bean brownies. Those are actually fantastic and everyone I’ve fed them to (including normal people and an 8 year old boy who eats hot dogs and Twinkies) like them. Personally I don’t like the taste of sweet so I only use about a tbsp of agave/maple syrup in a 9×11 pan but when feeding my friends I either make a separate batch or provide honey to pour on top. It’s not hard to see how this would go over well as cookie dough since beans are so versatile and often used in sweets around the world. I wonder if you could bake it. I’ll try and let you know. It’s so easy to adjust the sweetness to your level. Baking it would be interesting! Let me know if you try it! !